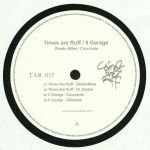 Review: Times Are Ruff are a Den Haag based record label and DJ team. Junktion, Larry de Kat and S3A have previously appeared for the label in recent times. Their fifteenth release features the label head honchos themselves take over the A side - with the jazzy and dusted down shenanigans of "GhettoMiles" getting its swing fuelled shuffle on in style, followed by the sensual late night mood lighting of "Dr Zanbar" which gets ultra deep. 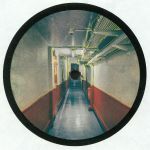 On the flip, it is over to debutante Il Garage with the hypnotic disco loops of "Croccante" and the lo-slung slo-mo deepness of "Delizioso" which will appeal to fans of Berlin's Money $ex or similarly the output of Paris' D.KO. 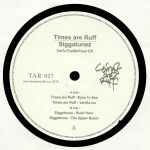 Times Are Ruff - "Eyes To See"
Times Are Ruff - "Vanilla Ice"
Siggatunez - "The Upper Room"